He found allergy relief from ONE product when before he had been taking two antihistamines, a decongestant, a leukotriene blocker, and a nasal spray with an expectorant, plus saline washes and topical rubs to help provide relief. He went from spending well over $100 a month on prescription medication and doctor co-pays to taking just one product: Berry Well Elderberry Syrup. In a previous Beeyoutiful catalog, Mary Ewing described how her husband made the journey from 10-12 sinus infections a year to an antibiotic-free year with a better diet and with the help of Berry Well. In her article, entitled Our Family Miracle, Mary wrote about their children beginning to exhibit some of their father’s symptoms and how she wanted to spare them from the constant struggle, intermittent misery, and lifelong dependence on pharmaceuticals that seemed to be their father’s lot in life. At that point, a friend gave them a bottle of Berry Well, and the whole family is now literally breathing easier. “At the core is elderberry extract. One of the most studied, tried and proven immune system aids out there, the elderberry is the star of this synergistic blend of complete health supporting elements. Most studies have focused on documenting elderberry’s incredible ability to support the body when dealing with viruses, specifically influenza. No pharmaceutical currently available on the market has been able to match the elderberry’s ability to combat viruses and prevent their recurrence. “Propolis is the dark sticky substance made by bees from the resin of various trees and plants. Bees gather this sap, re-metabolize it with their own nectar secretions and then take it back to the hive. It was named ‘propolis’ by the ancient Greeks which means, “a defense.” Some people call it “Bee Antibiotic.” Many scientists believe a hive to be more sterile and free from harmful bacteria than a modern hospital. The healing benefits of bee propolis have been known for hundreds of years. Hippocrates first recorded the use of propolis to treat wounds, sores and ulcers as early as the fourth century B.C. The Roman scholar Pliny praised the benefits of propolis 400 years later in his writings, explaining how it “extracted all substances embedded in the flesh, reduced swelling, softened hardened areas, soothed pain, and healed sores when it appeared hopeless for them to mend.” Today’s modern science supports what wise men of old knew to be true. With the technology available to us we are able to study the many wonderful internal benefits of propolis as well! White blood cells (phagocytes) serve as the body’s primary defense mechanism against bacterial infections. We all need an abundance of healthy white blood cells to attack invading microbes. The same white blood cells are responsible for influencing production of antibodies which will wipe out harmful bacteria. Propolis has been found to initiate the activity and cleansing action of these life saving white blood cells. “Raw apple cider vinegar is a cherished folk remedy that has been used historically to help in a huge array of immune system based complaints. “Raw honey has been a time honored food staple through the ages as well as being treasured for its healing and soothing properties. Berry Well’s raw honey has not gone through the high heat, refining, and filtering processes that most commercially available honey has. It retains all of the amazingly beneficial enzymes and traces of beeswax, pollen and propolis that make it such a valuable part of this proprietary blend. Taken internally, especially blended with the other fantastic ingredients in Berry Well, honey supports healing on many levels from the inside out. Raw, unfiltered honey has been used by many to help alleviate the symptoms of severe allergies and asthma. Its unique properties combined with the marvelous elderberry are one of the primary reasons Berry Well works so effectively on such a wide array of complaints. Does your family need an allergy miracle? Consider adding Berry Well to your family’s natural health arsenal! Click here to purchase Beeyoutiful’s Berry Well Elderberry Syrup. Click here to read about taking “The Water Cure” to relieve allergy symptoms. This delicious treat is packed with a great balance of complex carbohydrates, fiber, protein and omega-3 fatty acids. Plus, it’s sugar-free and easy to make! Mix all ingredients together until evenly distributed in the dough. 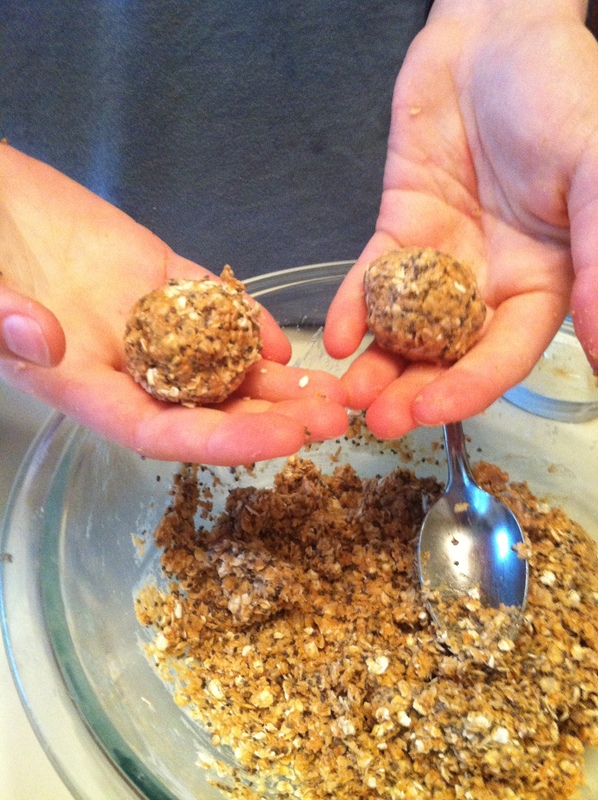 Roll the dough into 24 half-inch balls. Refrigerate for 30 minutes. Store in an airtight container in the refrigerator. 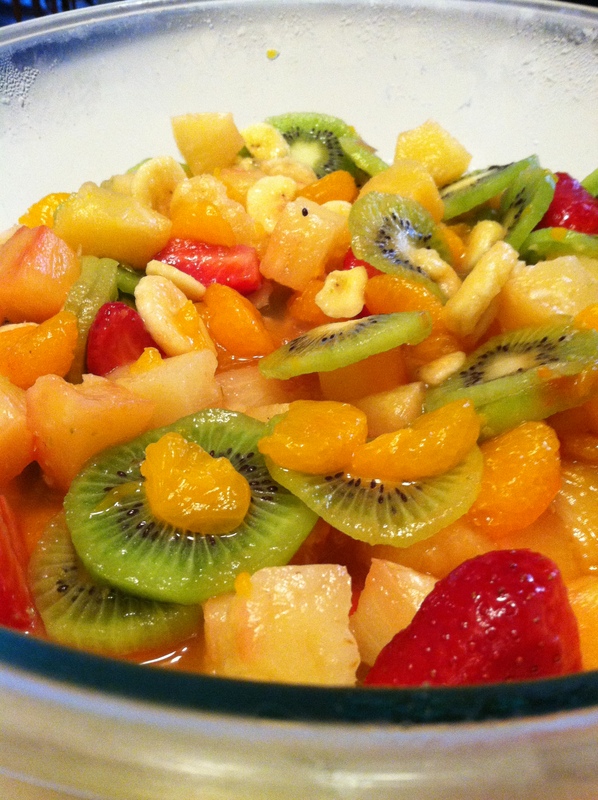 This delicious fruit salad provides lots of vitamins and digestive enzymes, and it’s also beautiful, don’t you agree?? Drain pineapple chunks, reserving 1/4 cup pineapple juice for dressing. Drain mandarin oranges. Combine fruits (first five ingredients) in mixing bowl; set aside. Combine last four ingredients and pour over fruit. Chill and serve. Suggestion: Double the recipe. Make the yumminess last as long as possible! Did you know that every time you eat, enzymes go to work to break down the food you eat so that your body can use the nutrients in your food? Did you know that when your diet includes foods that are high in enzymes, you are sparing your pancreas from having to continually manufacture enzymes? 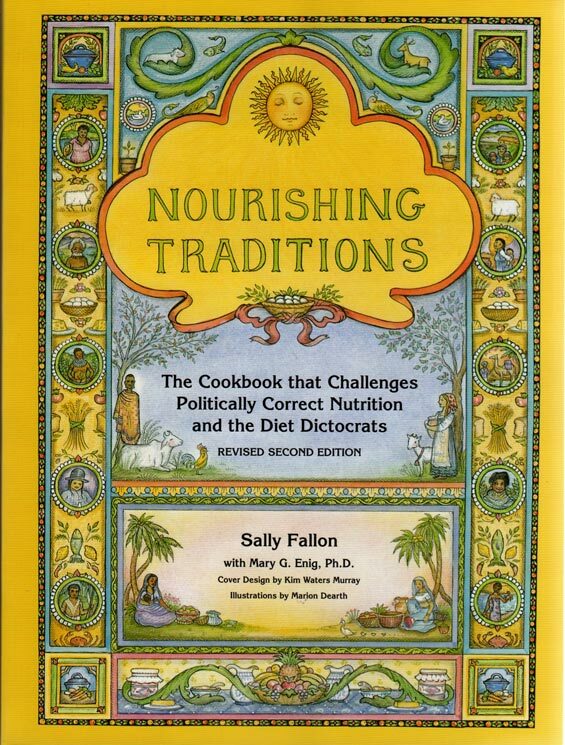 If you answered, “yes,” you know more than I did before I started reading Nourishing Traditions! I’ve recently learned that eating enzyme-rich foods ought to be a part of my diet. The enzymes in raw food help to start the digestion process and reduce the body’s need to produce digestive enzymes. When my diet is composed primarily of cooked food, I’m putting a severe strain on my pancreas. If the pancreas is constantly overstimulated to produce enzymes that ought to be in foods, the result over time will be inhibited function. Humans eating an enzyme-poor diet, composed primarily of cooked food, use up a tremendous amount of their enzyme potential in the outpouring of secretions from the pancreas and other digestive organs. So, what are enzyme-rich foods? The ones I’m attempting to add to my diet are extra virgin olive oil, raw honey, grapes, bananas, and pineapple. I’m also supplementing with Beeyoutiful’s Digestive Enzyme. Digestive Enzyme contains betaine HCl (from beets and molasses), pancreatin, amylase, protease, lipase, papain, cellulose, ox bile extract, bromelain (from pineapple), and papaya powder. I’d love to hear from you if you have something to share about moving from an enzyme-poor diet to an enzyme-rich one! What raw foods do you eat? I can’t wait to read your comments!